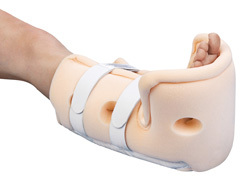 The Two-in-one solution: Splinting system and a walker alternative! 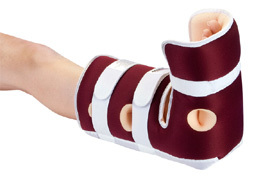 Immobilization of the Ankle and Elbow Joint. Effective Positioning of the Heel, Achilles Tendon, Ankle, etc. There is strength in tranquility: In some cases, only the immobilization of the injured area will provide sustainable therapeutic healing. DARCO has developed a wide range of medical devices that can be used to securely position and fixate most parts of the body to promote healing. Positioning devices created by DARCO are well known for individualizing the proper fit. The Body Armor® Night Splint Splinting System fixates the foot at an angle of 90° while at the same time, offering a high level of comfort. The principle is simple: to prevent equines deformities and the shortening of the Achilles tendon while in a resting state or during convalescence. For precise positioning and off-loading we have the Heel Suspension Boot in three variations. 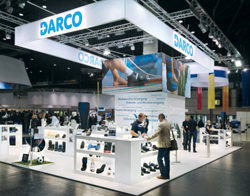 Immobilization with Positioning Devices and Products for Off-loading from DARCO. For plantar fasciitis, heel spurs, ankle contracture, etc. Prevention and healing of open wounds and decubitus. 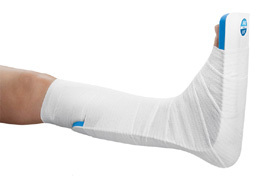 Provides control of the ankle's position and motion. The dynamic product gallery cannot be presented in print version. Please visit our website for this presentation. 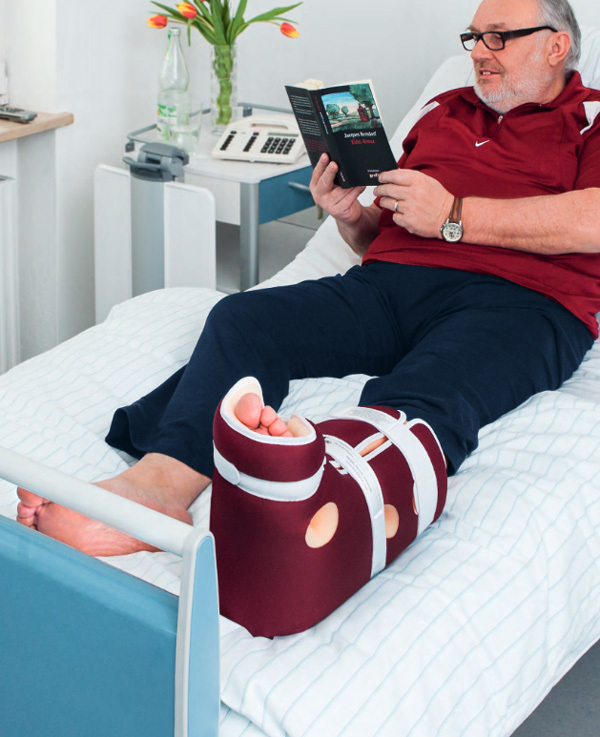 Our R&D team consisting of orthopedic technicians and product designers focuses on the development of new products representing state-of-art technology in close cooperation with leading medical specialists and physiotherapists. DARCO is specifically involved in promoting and expanding existing knowledge as well as organizing multiple further training opportunities which include workshops, congresses, symposiums and exhibitions. In the past years this has become a source of information for medical specialists and a platform for mutual exchange. 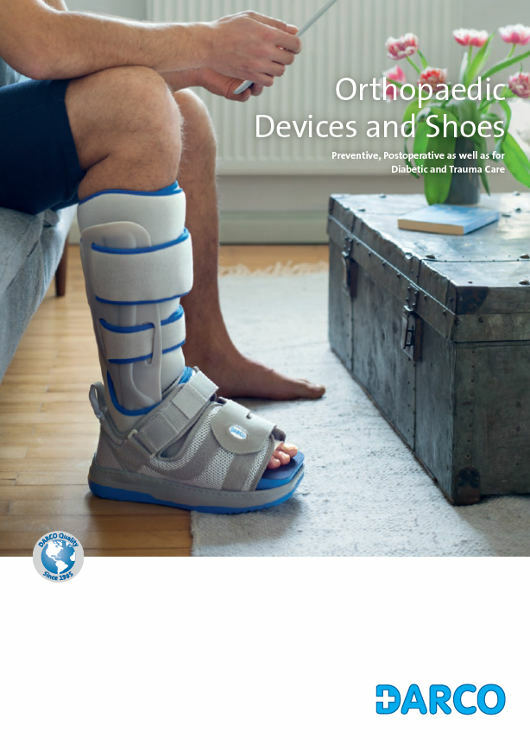 DARCO's close cooperation with foot surgery specialists around the world, international medical associations and biomechanical institutes is the basis for innovative product research and development providing outstanding efficiency and ensuring highest quality standards for our products. This is the way we include practical know-how and modern technology in our product design and how we remain standing firmly on our own two feet.